I don’t know why, but we seem to have been spending about half of our working hours in recent weeks researching and writing about the various clothes, accessories and jewelry worn by Ryan Gosling on screen. We’re not sure exactly what’s going on, but Gosling seems to possess an almost preternatural talent for picking roles in which he looks damned cool. You can read elsewhere about the necklace and sunglasses worn by Ryan Gosling in Crazy Stupid Love, but today we’re going to focus on the awesome leather driving gloves he wore in the 2011 movie Drive. 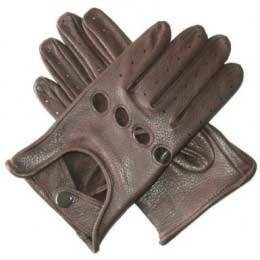 Personally, I’ve always had a bit of a thing for leather driving gloves. While living in the UK I had the unusual hobby of buying beat up mid-90s BMW 3 Series, polishing them until they could blind pedestrians, pulling on a pair of leather driving gloves and heading out on whistlestop driving tours of mainland Europe. While these trips were a lot of fun I can say with some measure of confidence that I never looked even half as good as Ryan Gosling looks in his pair. Anyway, you didn’t come here to read about my hobbies. You came to find out where you can buy a pair of Gosling’s gloves. Ryan Gosling’s gloves, then, come from Gaspar Gloves, an LA based luxury brand currently fronted by Dorothy Gaspar, a third generation glovemaker whose designs have been seen in over 70 movies and gracing the hands of celebrities from Lady Gaga to Beyonce to Michael Jackson. 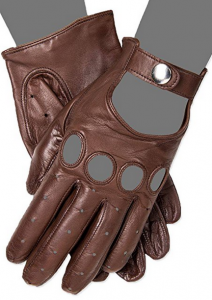 This particular model are called the Gaspar Men’s Driving Gloves, developed specially for the movie and inspired by the driving gloves worn by Steve McQueen in many iconic photos. 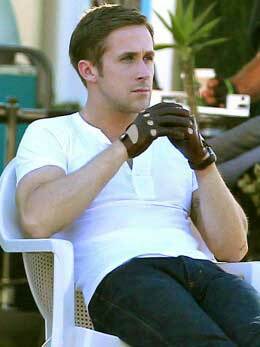 The Ryan Gosling ‘Drive’ gloves are available in both men’s and ladies’ sizes for $139.50. They’re made from kid leather, they have a snap wrist and are an exact replica of the gloves seen in the movie (Gosling wears them in the color ‘London Tan’). If $139.95 is a little too much for your pocket, all is not lost. 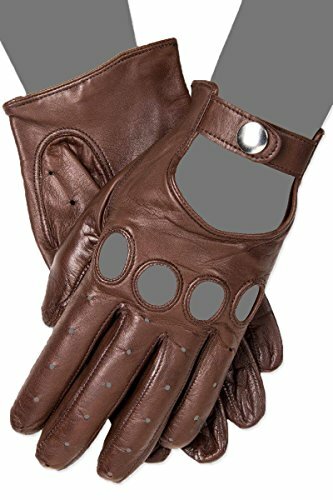 For just $119.95 you can find a pair of Lambskin leather driving gloves from Fratelli Orsini that come ‘close enough’ to Ryan Gosling’s pair. The Fratelli Orsini gloves also have knuckle holes and a snap wrist, and at half the price they make a great budget alternative to the genuine Gaspar version. What’s more, the Grandoe version of the gloves have some great customer reviews. 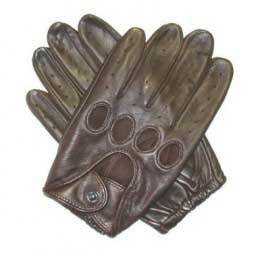 So, while I always insist on buying genuine screen accurate versions of movie clothing and accessories (and have the depressing bank balance to prove it), if you’re simply looking for a pair of leather driving gloves in the same style as Ryan Gosling you could do much worse than opt for the inexpensive – but still premium quality – Grandoe version. I was chatting with a few friends about gloves the other day (we’re going through a -30 Celsius winter here, so the subject comes up regularly), and the consensus was that none of them would spend over $100 on a pair of leather driving gloves, no matter how cool. While the Amazon ad currently reads the price as $36.95, right now these gloves are on sale for just $26.95. Like the Gaspar and Grandoe versions they come with knuckle holes and a wrist snap and they’re constructed from fine, unlined leather. As I said before, I’d prefer to go for one of the first two options, but if budget is a factor you won’t do much better than $26.95. It’s not that I can’t afford it, but I just don’t want to spend over a hundred bucks on a pair of driving gloves. I sure love the gloves worn by Ryan Gosling in the movie Drive, but not enough to pay that much. Fortunately there is a cheaper alternative that looks just as awesome. I’m definitely going with the $69.95 deerskin gloves and use the savings on something else. The one’s from amazon look pretty good too, but I want it to look as authentic as possible, so I’m going with the second option. Those are undeniably awesome gloves. I saw the movie Drive and thought Ryan Gosling looked cool, but I didn’t really bother to pick apart the reasons why until I saw your post. Now, I have to have those gloves. 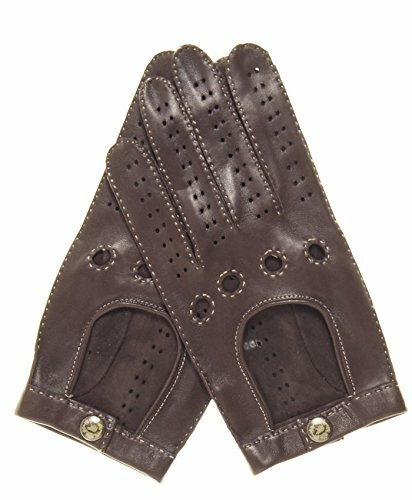 I think the best option you’ve posted here are the Triumph deerskin gloves – I am totally going to rock the caramel color. I love the gloves, but am not into driving enough to purchase driving gloves for that much money. I am often surprised as to how much money is spent on costume items for films. You would think that they would put the money towards other aspects of the film like actors and special effects rather than providing extremely expensive driving gloves. Oh wow! I did love those driving gloves he has on in the movie. When you see clothes in movies you automatically know that it’s gotta be upwards of $100. Really awesome to see other options, though, for knockoffs that look pretty genuine. Thanks so much! 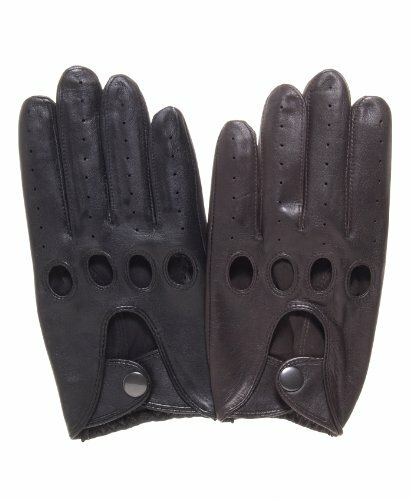 Would love to get my hands on (or in) some of these awesome leather driving gloves!